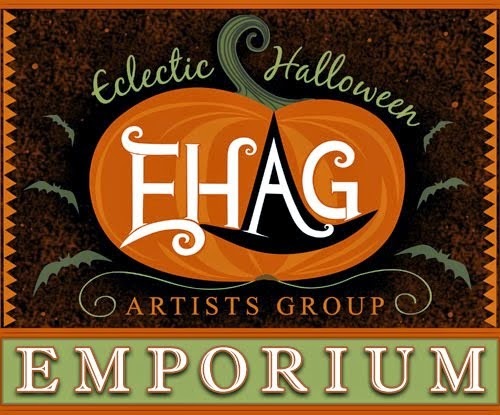 If you haven't gone over to the EHAG Emporium yet and entered our contest for your chance to win three wonderful gifts from three very talented artists, well you should! All you have to do is tell us about your favourite childhood Halloween costume, it is that simple. The lucky winner will win all three of this months prizes. I have finally finished my piece for the EHAG Emporium and this is all you are going to see for now until the final unveiling. Make certain to mark your calendar so that you don't miss the opening of the Emporium on July 31st at 9 P.M. EST. Click on this link to go over to the Ehag Emporium.